The University of Chicago has stood on the sidelines for too long as one of its scholars has faced repeated defamation and smears by critics of her viewpoints. That’s the message delivered by the National Association of Scholars in defense of Rachel Fulton Brown, a professor of medieval history at UChicago. She had argued that white men made indispensable contributions to feminism, telling The College Fix at the time that she wanted to “push back against the negative image of the Western tradition” in American culture. Critics include Dorothy Kim, a Brandeis University professor who has also accused her of academic transgressions and inciting violence. 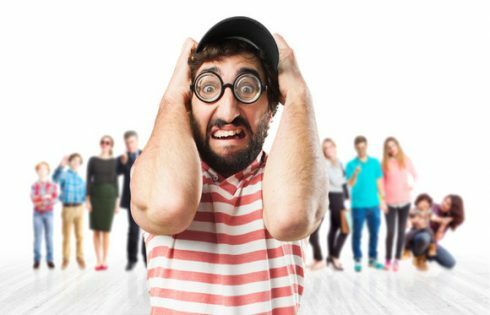 What is unclear is what do you do when attacks are on people’s character – not ideas, but their ability to participate in conversation at all. They want me not to be able to have a voice. Colleagues, in my best interest, have been telling me to shut up. I want to them to think about what that means. It’s not just Fulton Brown’s university that is refusing to defend her. It’s the academic association to which she has belonged for three decades. In a year-old Facebook post shared with The Fix, Kim reprinted a letter she received from the Medieval Academy of America, which offered her a free membership and free conference registration in response to “abuse” allegedly directed at her by Fulton Brown. “If, in fact, [Kim] was reproducing an actual letter, this represents a clear instance of our professional organization taking sides in a public debate over issues of intellectual, scholarly, and civic propriety,” Fulton Brown wrote in a September email to MAA officials that she shared with The Fix. The National Association of Scholars has been circulating an open letter supporting Fulton Brown and demanding her university and academic group publicly support her against attacks. We urge these institutions to consider the damage their own reputations have suffered by failing to repudiate the calumnies inflicted upon Rachel Fulton Brown. In a Sept. 17 email sharing the letter, NAS said it had already received 1,000 signatures, including from more than 300 university professors. The scholar, best known for her books on medieval Christianity (left), was targeted by “academic radicals” when she publicly opposed the reinterpretation of medieval history as “essentially a chronicle of racist oppression,” NAS said. 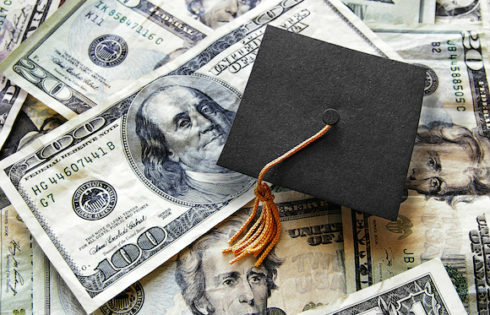 We think professors’ professional reputation should be defended–and we think it has to be defended so as to defend academic freedom. We hope to prod academic institutions to do more than just say they are neutral between defamers and the defamed. NAS specifically mentioned an Aug. 30 essay by Kim, an English professor at Brandeis, published by Inside Higher Ed. Kim alleged that Fulton Brown targeted her for harassment after Kim wrote “Teaching Medieval Studies in a Time of White Supremacy” a year ago. The essay detailed the intertwined relationship of medieval studies and white supremacy, and warned that the latter must be denounced or it might be passed on to students. Fulton Brown told MAA officials in her September email that this looks like the MAA is “endorsing the claims” in Kim’s essay. 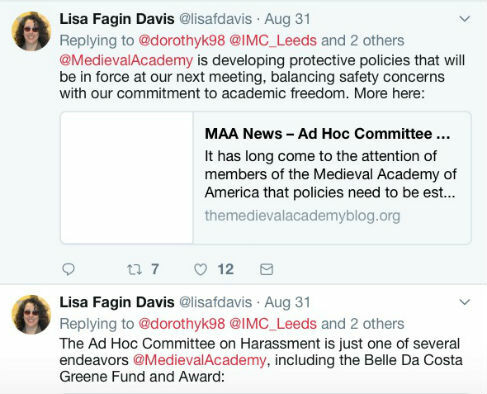 A principled argument that a scholarship restricted to “medievalists of color” is racist is transformed into what Kim calls “epistemic racial violence.” Kim wants to feel “safe,” so Fulton Brown must be forbidden from attending a workshop Kim organized for the International Congress of Medieval Studies. 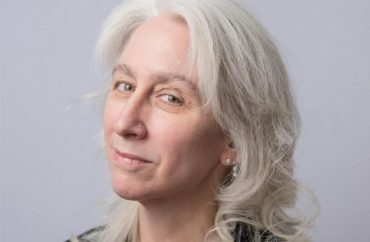 Wood told The Fix that Fulton Brown can “expect such defaming articles to continue for the rest of her career–unless she is firmly vindicated by her fellow scholars and institutions” including UChicago and MAA. Fulton Brown told The Fix that it was “difficult to assess” the damage done to her professional reputation at the hands of Kim and others. The 29-year member of the MAA has used her “MedievalGate” blog to chronicle her contentious relationship with Kim. She has only seen the Brandeis professor once in person on an MAA panel where Kim was speaking. (Kim taught at Vassar College at the time.) “She used this to claim that I harassed her by sitting at the panel,” Fulton Brown said, referring to Kim’s Inside Higher Ed essay. In the letter to MAA officials she shared with The Fix, Fulton Brown shared Kim’s Facebook post that reprinted the MAA letter from September 2017. 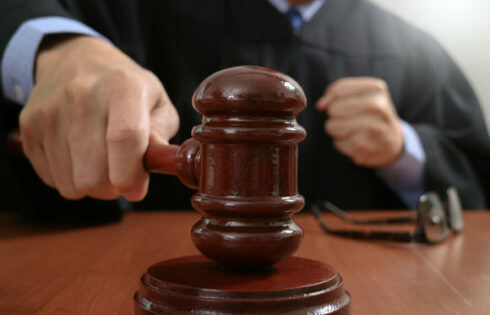 Fulton Brown told the officials that Kim had made “serious allegations of academic and civic misconduct about me, calculated to destroy my reputation as both a Christian and a scholar,” going back to early 2016. She offered to share “records of these lies” told by Kim, which are also documented in a blog post by Yiannopoulos. 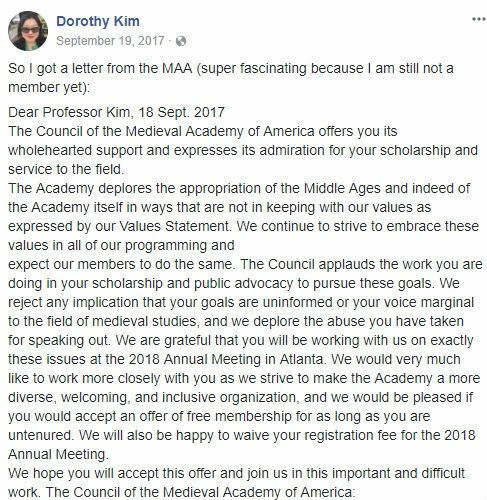 “I write now in the hope that the Officers and Council of the Medieval Academy will be willing to offer a correction to their response from last year, acknowledging that the claims made by Professor Kim do not have a basis in fact,” Fulton Brown told MAA officials. Fulton Brown told The Fix she has received no response from MAA. She continues to document the ongoing controversy on her personal blog and videos. “Once you’ve conflated speaking against certain premises as violent, there’s nothing left to talk about,” she told The Fix. The MAA did not respond to multiple phone and email inquiries regarding the conflict between Kim and Fulton Brown, or the development of its Committee on Harassment. The University of Chicago declined to answer Fix questions, instead providing an August statement from Amanda Woodward, dean of the Division of the Social Sciences. 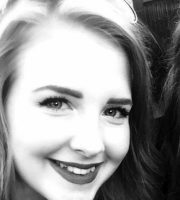 College Fix contributor Grace Curtis is a rising senior at Converse College and studies English literature and writing. In addition to The Fix, Grace writes for her college newspaper, The Conversationalist, and contributes to The Odyssey.